Authorities are calling a Minnesota woman "one of the worst DUI offenders in the United States" after her seventh arrest in as many states. Police in Riverside, Illinois, arrested Tasha Lynn Schleicher, 41, of New Hope, Minnesota, April 2 and charged her with two counts of felony aggravated drunk driving, two counts of misdemeanor drunk driving, not having vehicle insurance, driving with a revoked license and transportation of open alcohol while driving. Schleicher had 11 prior arrests, all of which were DUI-related, the Riverside Police Department said in a statement. She had three active warrants from multiple states. Schleicher’s 11 children all have been taken away by the State of Minnesota, Riverside Police Chief Thomas Weitzel said. "This is one of the worse DUI offenders we have ever dealt with," Weitzel said. "I've classified her as one of the worst DUI offenders in the United States." Police said they received a call at 9:27 p.m. on April 2 that reported a woman passed out in her vehicle at a Riverside gas station. Officers found Schleicher sitting in her 2005 Nissan Maxima, which police say she apparently had tried to fill with kerosene. There was an open bottle of liquor in the front passenger seat, which witnesses told police they'd seen her drinking from. Schleicher "had bloodshot, glassy eyes, and emitted a strong odor of alcohol from her breath" and was "in total disarray," according to police. After refusing to cooperate with a field sobriety test, she was arrested. She was "combative with officers," lied about her name, date of birth and Social Security number, Weitzel said. She wasn't positively identified until she was fingerprinted. 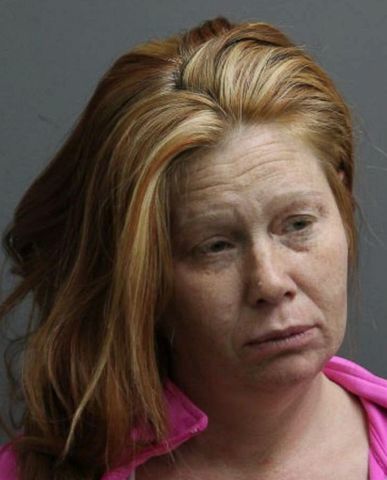 Schleicher was taken to MacNeal Hospital in Berwyn after claiming to be pregnant and having a miscarriage, but the hospital found the claim to be false, authorities said. Previously, Schleicher had been arrested for driving under the influence in Kentucky, Wisconsin, Indiana, California, Oregon and Minnesota. Her outstanding warrants were from Nebraska, Idaho and Oregon. "When she was arrested in a state, she would just not show up in court unless she was held in custody," Weitzel said. "That's one of the reasons for so many outstanding warrants." Weitzel asked that the Cook County State's Attorney's Office hold Schleicher and provide "immediate social service intervention and professional medical attention for severe alcohol abuse."